buzzydoo has no other items for sale. 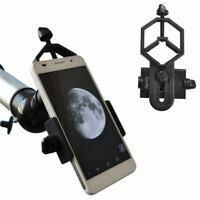 Weighing in at 9.75 pounds, the Orion Skyscanner reflector telescope has a fully-coated lens that has an aperture of 100mm. The Orion also has a 40-59x magnification that allows for the viewing of planets. An altazimuth mount is attached to this burgundy telescope for easy access and handling. Additionally, the reflex finderscope is great for finding objects in the stars. Purchased for ten year old son's birthday and it will be shared with all our friends and family. Excellent views of the moon...particularly just before reaching the gibbous phase (great contrast). We have not had an opportunity to escape light pollution but are confident with claims of what we should be able to view. 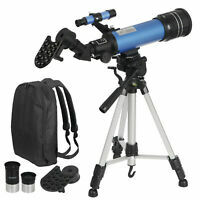 Ok, this is not a Discovery Dob and doesn't try to be - but for around 100 bucks it's a great little telescope. Much better than a typical dept store telescope - and it's kid size. Perfect for kids to learn how to focus and locate objects like the moon. Fall in love with the moon, planets and stars! First we bought a star, and then we bought the telescope to view it! Fabulous product at a great price! 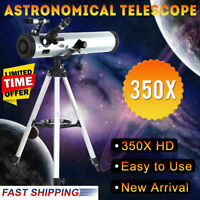 A perfect telescope for a 6 year old. Easy to aim and focus, rugged construction, portable and easy to set up.